Is Vincent Price immortal now?. a Vincent Price wallpaper created by TheCountess - this one with Kermit the frog as a vampire. 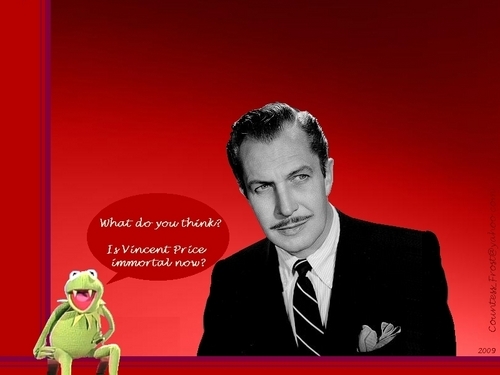 HD Wallpaper and background images in the Vincent Price club tagged: vincent price actor kermit the frog vampire muppet jim henson fan art wallpaper thecountess. This Vincent Price wallpaper contains business suit. There might also be suit, suit of clothes, and three piece suit.